AIE specializes in setting up corporate and asset integrity management systems (AIMS) for both new and aged facilities. The AIMS developed is tailored to our client’s operations and is established based on our wealth of experience and compliance with industry’s best engineering standards and practice. 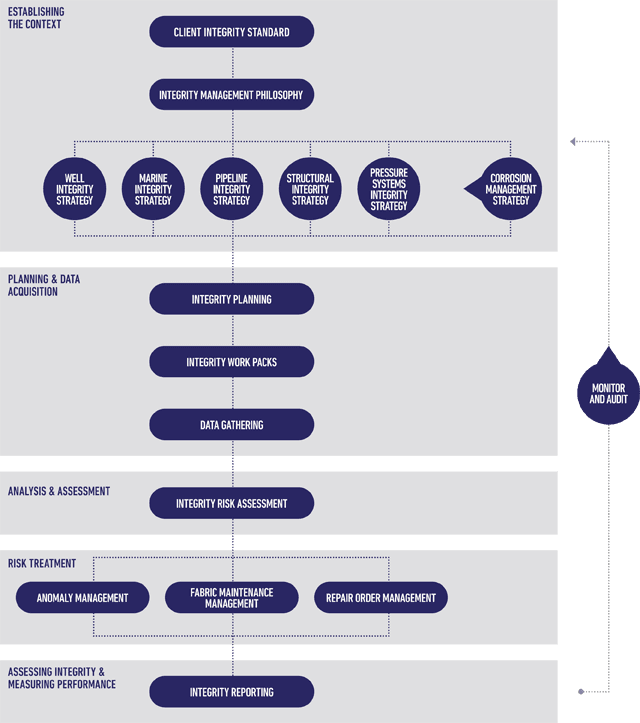 An example of our client specific Integrity Management System for Oil and Gas operations.